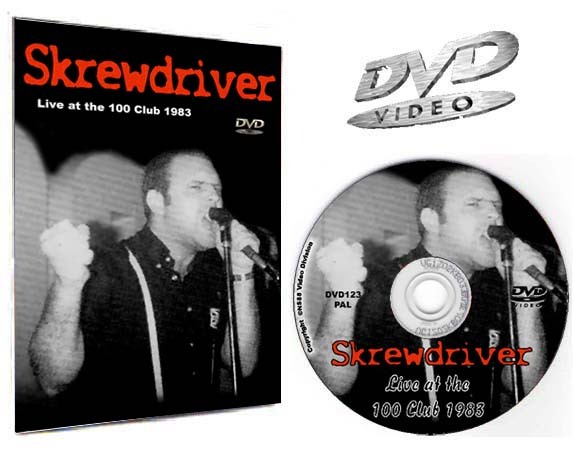 DVD123 - Skrewdriver - Live at the 100 Club 1983 - €15.00 : Buy Now! 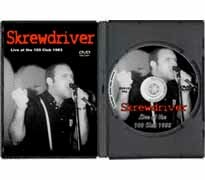 Skrewdriver "The come back years" performing live at the famous 100 Club in 1983. 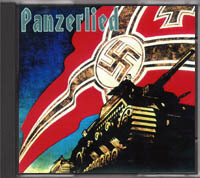 The video is over 25 years old and filmed with one camera. 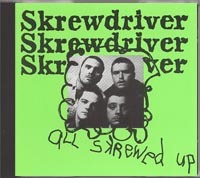 If you are a Skrewdriver fan then this is a must for your Skrewdriver collection. Runtime: 30 Mins - Color.